Missed opportunities are abound on your web site for improving your search ranking and being able to reach out to audiences who have a disability. What does it mean to be ADA Compliant? The Americans with Disabilities Act (also known as ADA) is a comprehensive civil rights law that was enacted to protect individuals with disabilities from discrimination. 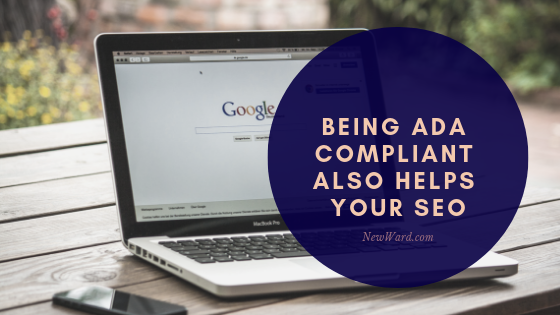 When you web site is ADA compliant, that means that individuals with disabilities can still interact with your site and conduct normal business. Use title tags – H1, H2, H3 etc to break out pages into meaningful sections. Running my site through a compliance tester, I realized that I do not have enough contract on my text vs the background. This can make it difficult for those who are visually impaired to read through my content.